When a girl has a birthday on the horizon, and Christmas party season is just around the corner, she needs a frock that will take her from leaf-kicking in the park to supping squash with friends and on to showing off her latest dance moves when the celebrations really get started. It needs to look good with pink wellies, silver glittery ankle boots or a pretty party shoe. It needs to withstand jelly and ice-cream rubbed into it, and it needs not to mind being washed and dried constantly. We don't want anything too Christmassy, we want value for money. A girl wants to wear this from now till Easter. Enter the Heidi dress. Made from organic cord, this long sleeved Peacock blue dress has a sweet applique on the front, with pin tuck and button detailing. A really great festive party dress! It costs £32 and is available on the Frugi website. I am privileged to blog as part of the #FrugiFamily and we were sent an garment of our choice to review. 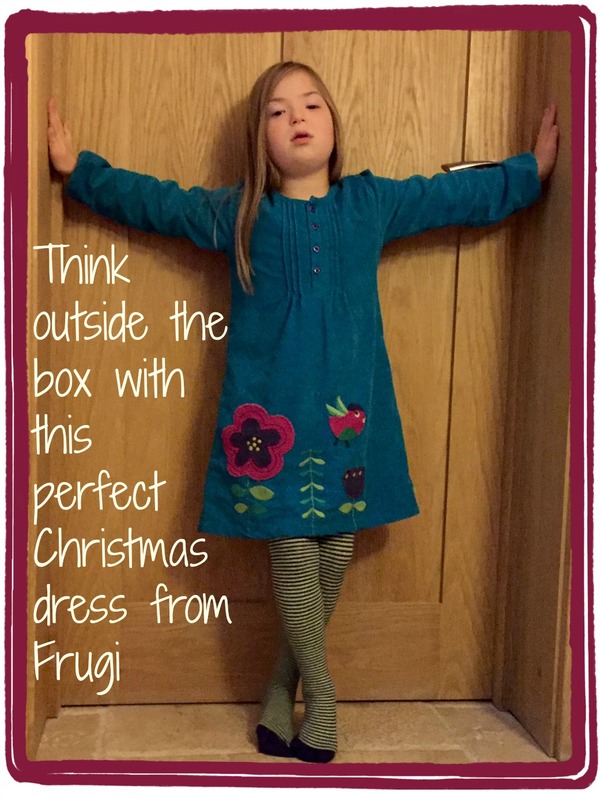 Here's Natty to say 'Thank you Frugi' for her new favourite dress! Now hop over to Globalmouse Travels to see what she chose for one of her interpid explorers. You never know where in the world her blog will take you! 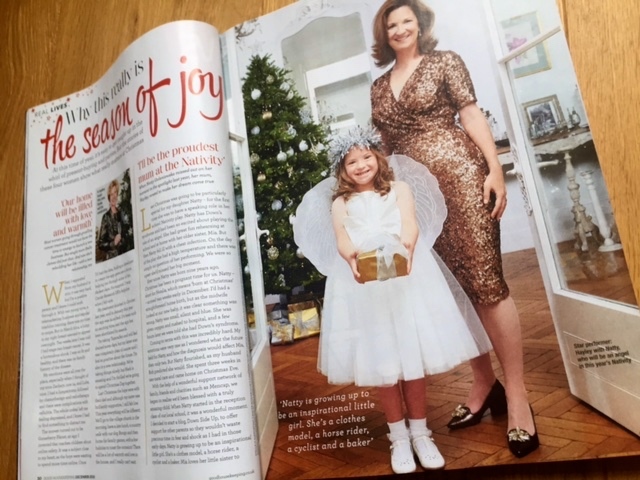 Grab a copy of Good Housekeeping this month and see model and learning disability champion Natty shining out as their Christmas angel.